Yahoo is powered by Bing. 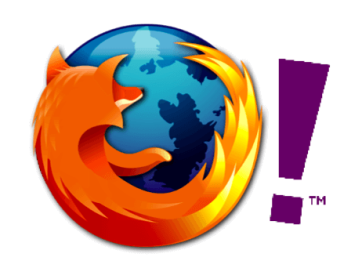 In 2014, Firefox switched to using Yahoo as the default search engine. Firefox really wants you to use Yahoo — as such, there was a bug that kept switching people back to Yahoo every single time they updated Firefox, oops! Guess those kinds of mistakes happen easier when you’re being paid hundreds of millions of dollars. How much did Yahoo pay to receive Mozilla’s default search preference? It’s unknown, but in 2012 Google paid Mozilla approximately 271 million dollars. Let’s just assume that Yahoo paid more than that in order to secure the profitable default, and maybe a few extra on top for a few choice bugs that keep switching people back. 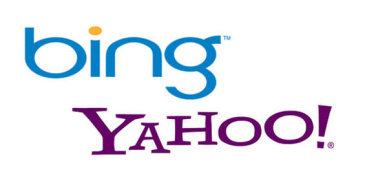 In 2009, Microsoft and Yahoo made a 10 year deal, where Bing powers the Yahoo SERPs. Adding Yahoo and Bing’s traffic together, they represent 33 percent (a third) of search engine traffic. At 64%, Google controls less than 2 thirds. Theoretically then, you should be able to get a visitor from Bing properties for every two you receive from Google. If you find that figure is skewed far more towards Google, perhaps that means you know how to optimize for Google, but not for Bing. This deal between Bing and Yahoo is going to be the case for at least until 2019. Four years of internet evolution is a very long time. Because of the Firefox/Yahoo deal, where new users of Firefox (or new installations) automatically default to Yahoo — there is a negative momentum for Google. 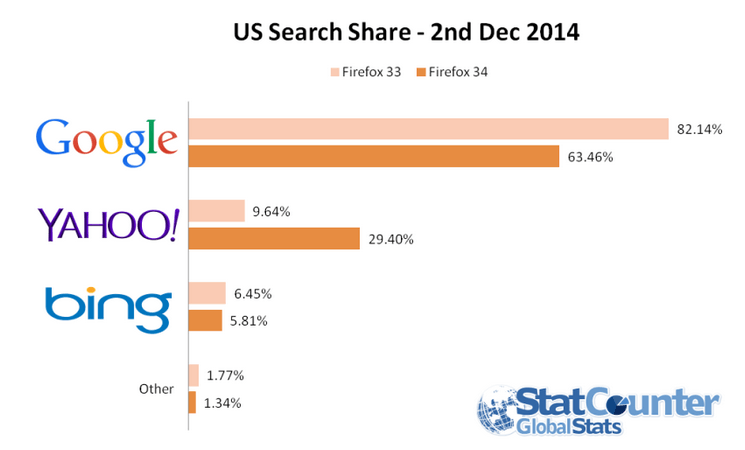 Last year about this time, Google had 67.6% market share, but today it’s down to 64%. To put things into perspective, in the last year Google lost more than the entire traffic of Ask (1.8%) and AOL (1.1%) combined. Just in January 2015 alone, Yahoo jumped 1.6% in market share (at Google’s expense). One can assume that a good reason for Google’s dominant market share has been its relationship with Firefox, to receive the coveted default search engine distinction. This has trained a fair amount of users to want to use Google by default. Nothing lasts forever. I distinctly remember the day I switched from AltaVista to Google back in the year 2000 because they started serving popups. There’s only so much you can abuse your customers. This was long before I started trying to rank websites for money, so it’s a story of an ordinary internet user who switched because I was bugged. Here we are in 2015, and Google is bugging many people as a search engine — for the sake of squeezing the ultimate amount of money from the SERPs. Google, itself, claims that any website that has 100% advertising above the fold, or in other words everything that is seen on a page without having to scroll down, is a low quality website. Depending on your search query, this is what Google has become. While Google is trying very hard to evaluate your site’s user experience, in order to deny you traffic if you’re not providing the best experience possible — Google’s user experience is suffering. 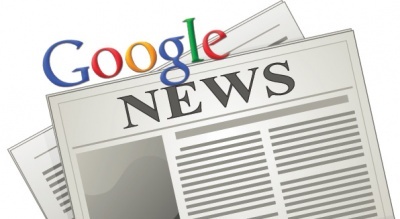 Google no longer has the “best search engine around” factor, allowing it to continue increasing it’s market share. It has the search platform that annoys you, but not quite enough to switch from what you’re used to. This is, of course, subjective — but I’d venture to say it’s a growing sentiment. Google’s loss of market share isn’t strictly over the Firefox deal, but most likely they’ve plateaued with their “milk the SERPs for maximum cash” strategy. The Future of SEO, with Google treading the same path it is now, is clear. Eventually, Google will keep every search within it’s own system, only showing links to leave to someone else’s site as a last resort. 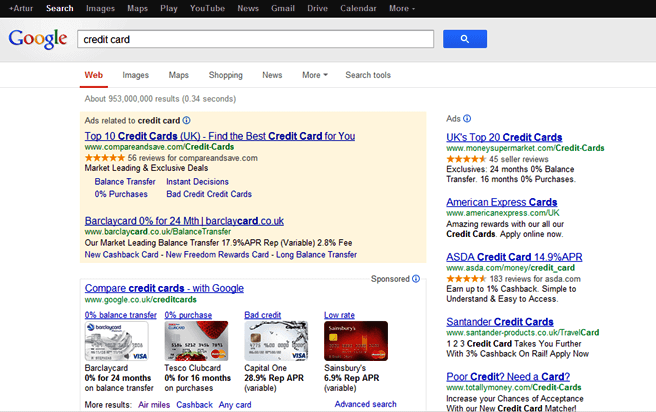 If your query involves shopping, that query will remain in Google at all costs, especially the cost of quality. It’s not hard to imagine a Google where someone searches for a shopping query and receives no organic results in the top 10. If it is not a shopping query, then Google will take that search and redirect it to a content farm that they have a stake in, via Google Ventures. The market share of Google’s results, where your search remains inside of Google until they exit to a Google Ventures property, will continue to rise — at the cost of SERP quality and diversity. It further makes the claim that, “The charges could lead to billions of euros in fines, and requirements for Google to change its business practices.” Although Google is maximizing it’s profit, it’s a lower quality user experience and it will drive people away to other search engines, such as Bing. The question is this: as Bing is now more than 1 out of every 3 searches, and Google is less than 2 of every 3 searches, does it make sense to make Bing a large focal point? Let’s talk about the quality of traffic, and whether it converts if you were buying ads from Bing vs Google. A study has shown that Bing gives you a better bang for your buck. Although Google has more traffic, the quality of traffic that comes from Bing is more likely to convert. 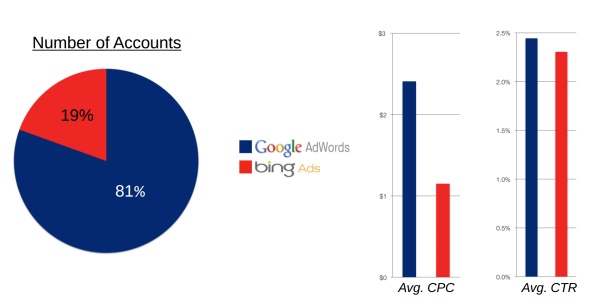 Data released yesterday by small business (SMB) marketing platform Pricing Engine argues, as a number of others have in the past, that Bing ads are a “more efficient” buy than Google AdWords. While Google has more search volume and higher CTRs, Bing emerges as a lower cost source of leads for SMBs according to the company’s analysis. As Google continues to lose market share, continues to harvest all it’s traffic to it’s own Google Venture sites for organic traffic, and continues to penalize webmasters with drastic algorithm changes that reduce traffic even on white hat sites with good content, in favor of big brands and Google’s own properties — it can make excellent sense to start focusing on how to rank well in Bing.